The Classic World 100 Blocks Set consists of building blocks to encourage play, imagination and creativity. 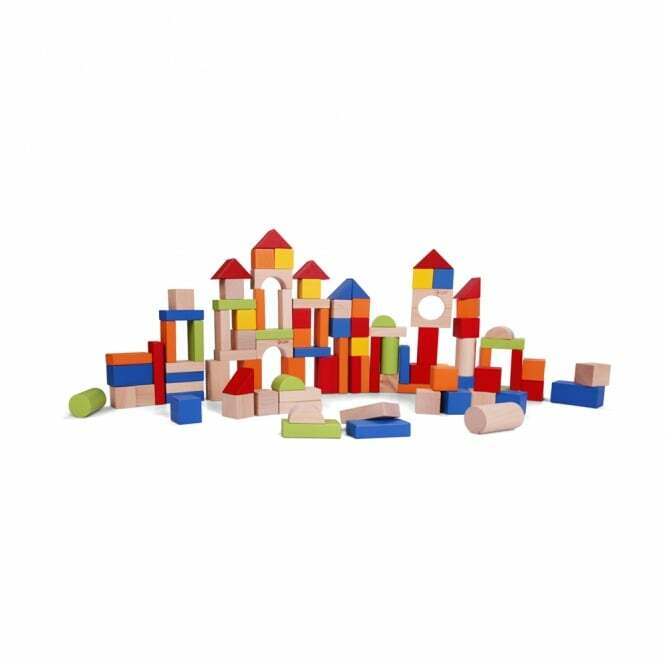 Classic World 100 Blocks Set is a traditional educational toy for your baby. Brightly coloured wooden shape blocks that can play a key part in your baby's development and learning. Classic World 100 Block Set helps develop dexterity, coordination and imagination. Your baby can stack and build with the blocks; they can also sort the shapes by colour or shape. A storage bucket is included with Classic World 100 Blocks which make packing away after play very easy.